This is our second retreat in sumptuous Bali where millions of offerings are made daily by the local people to the lands, the sea and the Gods and Goddesses. This devotional practice can be sensed in the air, the moment you step off the plane. 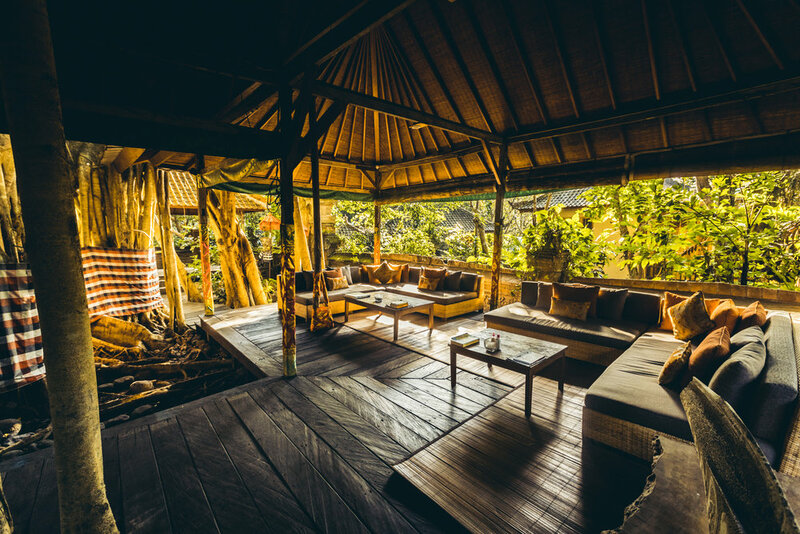 Our location of choice is in the yoga capital of Bali, magical Ubud. It is protected by trees, on the beautiful Campuhan river. The resort is close to many of the best vegan restaurants on the island and in the hippest part of town. There is a regular complimentary transfer to Ubud centre. The resort is a 90 minute drive in a private transfer from the airport. You will stay in deluxe accommodation, with comfortable furnishings in a nurturing space. Your private haven features a semi outdoor bathroom and shower with large, and an open balcony with a relaxation outdoor seating area. The resort is sacred land and as you enter you will see ancient banyan tree and old temples. Meals are wholesome, organic, seasonal, local and nutritionally dense ingredients combined with healthy cooking techniques are the basic building blocks of healthy cuisine. This destination is renowned for wellness and the ideal environment for us to create our HolyMama LoveField. Daily breakfast buffet and lunch for you and your child. We will also organise excursions for those interested, for example a trip to receive a water purification blessing by the a Balinese Priestess. You can bring a second child and an extra adult, please ask about costs. 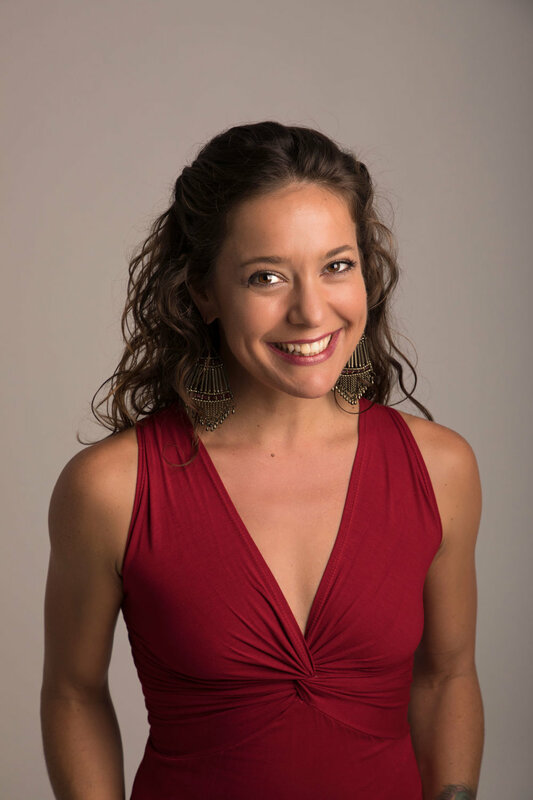 Claudia presented three sessions at The BaliSpirit Festival (March 24-31 2019 in Ubud) which is one of the world's most inspiring annual yoga, music and wellness festivals! 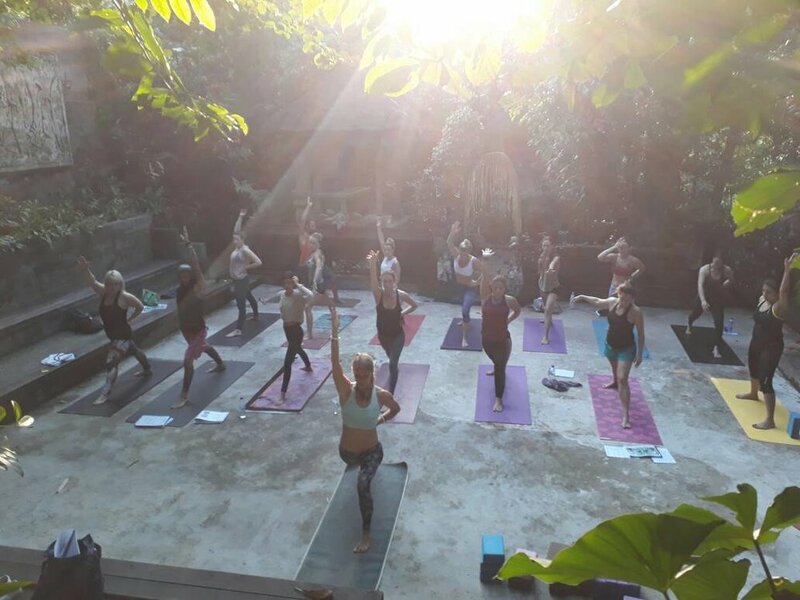 It offers 200 workshops in yoga, dance, breathwork, sound-healing and seminars as well as nightly music concerts all set among the terraced rice-fields and lush gardens in Ubud. The festival is perfect for kids too - it has a Kids Zone with daycare, fun activities and special classes for little yogis. To book your ticket with a discount of $50 use the code “CLAUDIA” when purchasing an Abundance or Full Spirit Pass.